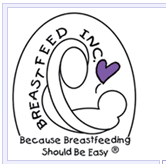 Breastfeed Inc. is a private organization providing support, education and assistance to breastfeeding mothers and their babies, at home or on site. A 24 hour warmline is available for clients to provide support and education. Instructional classes are also available for the expectant mother and her support person. Workshops and other educational offerings are provided for the professional staff of Pediatric and Obstetrical practices, who deal with a multitude of breastfeeding questions and concerns on a daily basis. These classes are designed to help the staff decide when a referral is necessary and how to assist over the phone to minimize unnecessary postpartum visits. A breast pump rental station is also available 7 days a week to meet the needs of mothers returning to work, being separated from their babies, or experiencing specific lactation difficulties. A breast pump delivery service is also available for a nominal fee. Professional Lactation consultations by a Board Certified Lactation Consultant are also available with every pump rental, as needed. 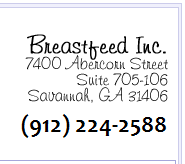 It is the mission of Breastfeed Inc. to improve the health of women and their babies through the professional and ethical promotion and support of breastfeeding. Breastfeed Inc. believes that breastfeeding success depends upon the availability of accurate information, meaningful education and physical and emotional support of the breastfeeding couple. We believe that through education and support, we will empower women to make their own informed decisions and fulfill their own needs and expectations. To provide education for the expectant mother and her support person, which will enable them to make informed decisions regarding the choice of feeding for their infant. To provide comprehensive in-home or on site Lactation Consultations for any mother experiencing feeding difficulties, up to 2 years postpartum. This early intervention will minimize breastfeeding difficulties and empower the mother to reach her own goals. 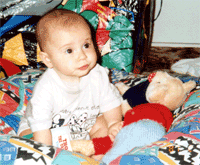 To ultimately increase the incidence and duration of breastfeeding to promote healthier babies. To enhance awareness of the health benefits of breastfeeding to Health Professionals, and to assist them in the day to day management of breastfeeding in the office setting.